A portable, high-production machine with a large hopper that produces 2520 lbs/hr of cellulose, and 1350 lbs/hr of fiberglass. 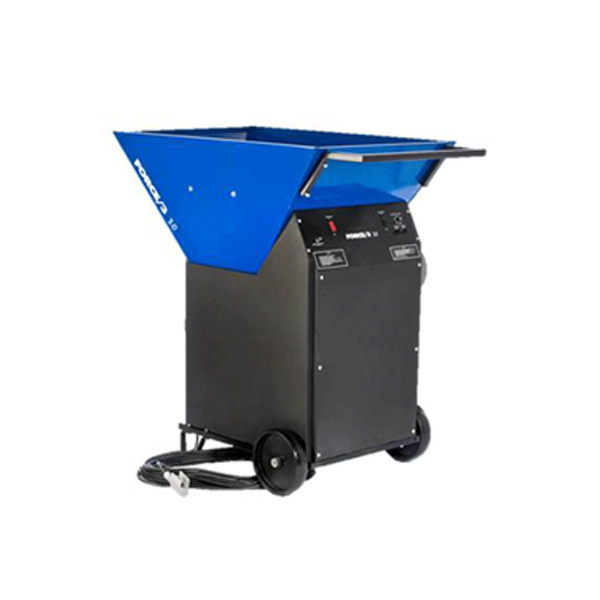 At half the weight of comparable machines, the Intec Force/3 retains portability while offering high output. Dual blower motors with variable speed control make dense packing simple. Weighs 350 lbs.